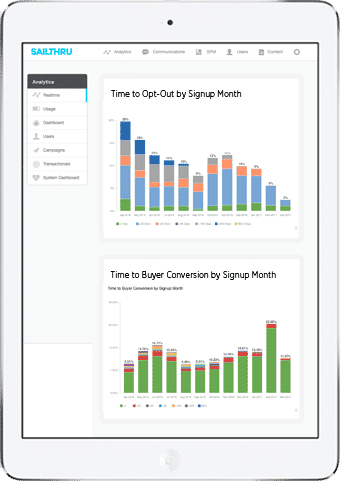 Easily serve up dynamic, personalized sign-up forms based on a consumer’s preferences, patterns, and interests and even control the optimal display location of your acquisition events to optimize every customer touchpoint in order to boost short-term conversion and long-term customer value. 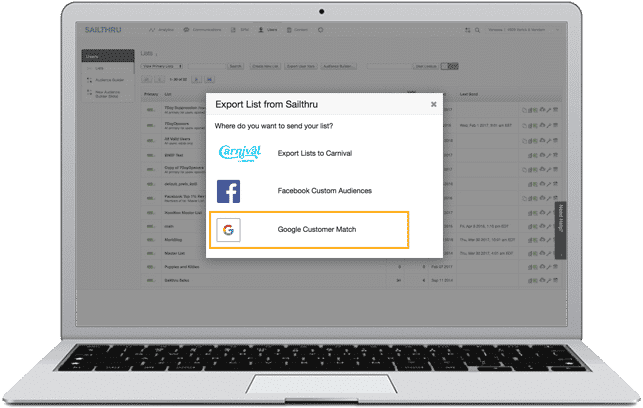 Powered by the Sailthru customer profile, easily leverage your unique customer data such as purchases, interests, and behaviors directly within Facebook Custom Audiences or Google Customer Match to provide more relevant and connected acquisition experiences for your customers. Move beyond traditional audience segmentation to acquire new customers using long-term predictive data. Leverage Prediction Manager to determine whether an individual customer is most likely to purchase in the next 30 days to inform and power intelligent customer acquisition strategies around a customer’s behavioral predictive data. 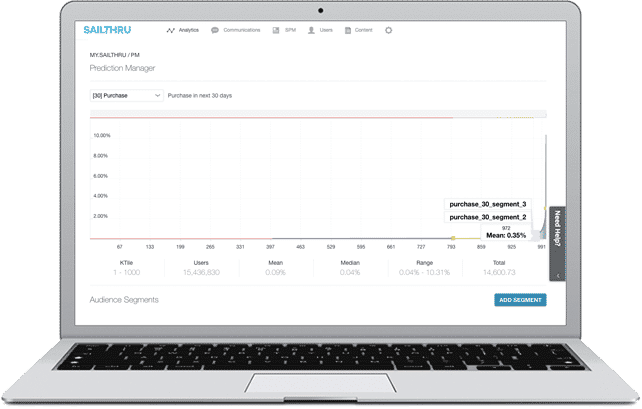 Sailthru makes quick work of analyzing the lifetime value of your customers. With access to advanced marketing analytics tools like Retention Analytics, marketers can effectively understand the engagement and revenue impact of every marketing decision across email, onsite, and mobile from all accessible data sources without having to rely on receiving metrics from their Business Intelligence teams. Say “hello” to a more effective email acquisition strategy. 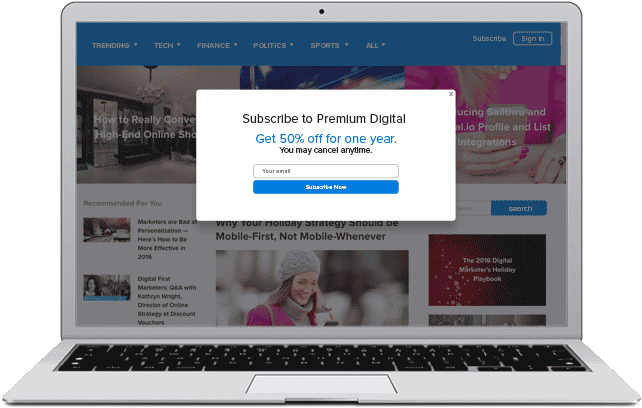 Get a customized demo to see how Sailthru’s email marketing experts and success services can supercharge results.